After 21 years of bringing Jazz lovers together under one roof to enjoy the very best of music from international, intercontinental and local musicians and artists, the Standard Bank Joy of Jazz has taken things a notch up. Standard Bank is always at the forefront of the latest and most innovative technology so it is only natural they have chosen to embrace Howler’s revolutionary cashless system at this iconic event. With people travelling from across the globe for this momentous occasion, losing cash should be the least of their worries. “We know the frustration of losing money and standing longer than you should in a queue waiting for change, that is the reason we are launching this system. 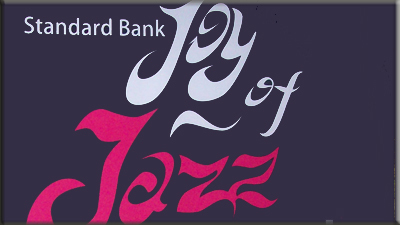 Jazz music lovers attending the festival can easily preload money onto a FREE Howler Cashless card by registering online at https://joyofjazz.howler.co.za/events/3748 and transferring an amount of their choice using credit card or EFT online. Those who do not own credit cards or prefer to preload using cash can reserve their FREE Howler Cashless card at https://joyofjazz.howler.co.za/events/3748 and make a bill payment using Cash, Credit/Debit Card at any of the participaing stores nationwide. This process is the same as paying online except you would need to select the in store payment method. At the store the customer will give any teller their reference number (supplied by Howler) and their payment will be accepted. Following both of the above payment methods the customer will then be emailed a cashless ticket voucher which they need to present at the top-up station to redeem their pre-loaded FREE Howler Cashless Card. Patrons who choose not to preload their Howler Cashless Card will be able to purchase and load a Howler Cashless card (R10) onsite using Cash, Credit Card or Snap Scan at any of the top up stations onsite. All food and beverages will be purchased using these cards, there’s no need to worry about carrying cash during the event.’ explains Chinoamadi. “Should patrons wish to add more credit to their cashless cards at the event, they can simple load more credit at any of the top-up stations Any funds not spent will be refunded! You will be able to claim them on the Wednesday after the event by registering /logging in at www.howler.co.za, pairing your cashless card and cashing out. These funds will then be paid directly into your bank account. We want you to live the music and feel the jazz this year. Do not miss a second more than you should, spend your time being serenaded by the best musicians and artists. Standard Bank Joy of Jazz celebrates its 21st edition this year with a diverse line-up of all-star talent. Five stages will be used where Jazz lovers will be treated to ground-breaking collaborations and tributes by new masters to older Jazz giants.